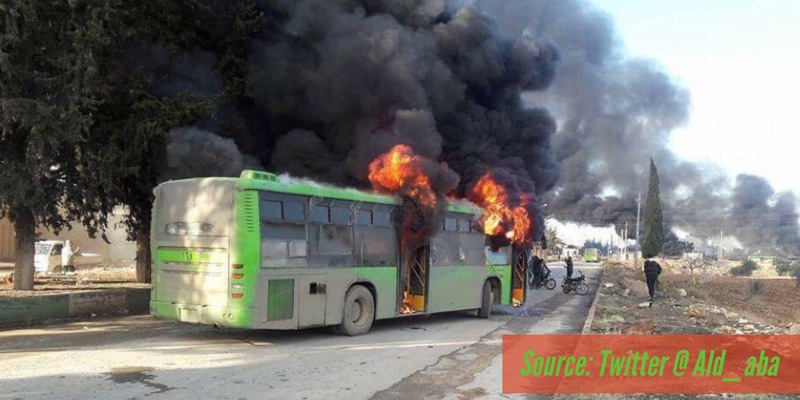 Reports are coming in that an “unknown rebel group” has attacked buses going to evacuate civilians from Kefraya and Al’Fuah. It is alleged that civilians had not yet borded the buses. The buses were on their way to pick them up when the attack happened.